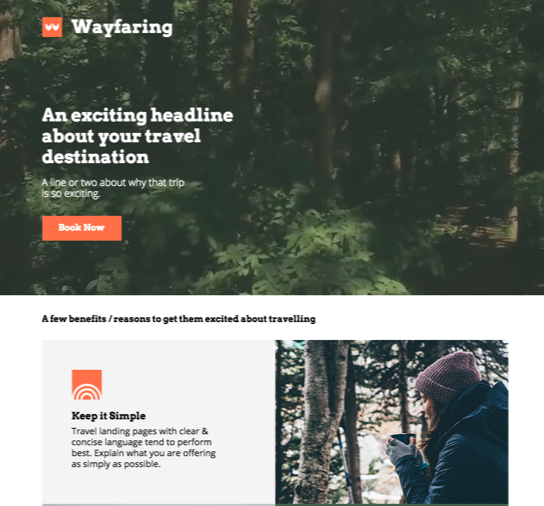 Designed with wayfaring adventurers in mind, this travel template features a video header background, plenty of space for photos, and room for travel details too. Bon voyage! 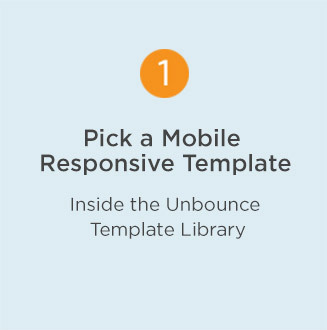 Your business service needs a template. 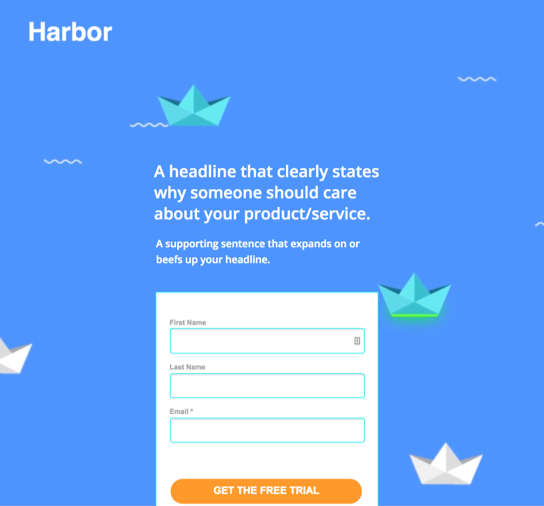 Why not try Harbor’s eye-catching design featuring clear, large text? Have a killer product demo video? 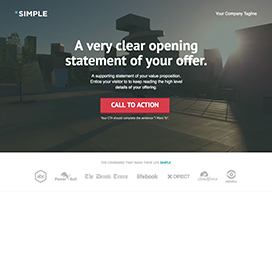 Maximize its conversion potential with this bright, minimalist theme that comes fully equipped with a video background and lightbox form. 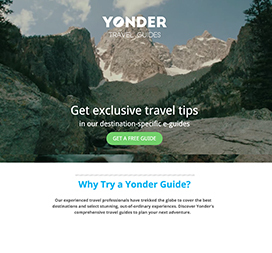 Let your eyes and cursor wander Yonder, a beautiful landing page template complete with a video background, artfully-aligned images and an inline call-to-action. Simple wows. More importantly, it works. 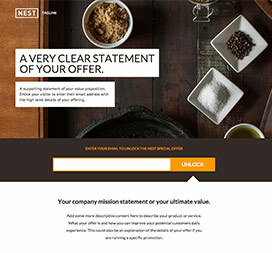 Start with an attention-grabbing video background, then fill in the details with a lean value proposition and bold CTA. Grab leads for your next event by blowing them away with a video background of your event location. 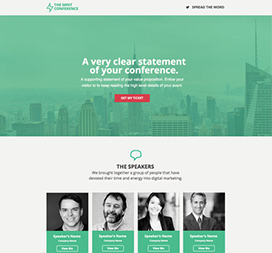 Show your visitors a detailed agenda, and keep attendees informed via email. Combine big, bold typography and imagery with a video background and high-converting form to create excitement for your next product launch. Grab your boots and get down to business with this no-nonsense theme. A simple layout makes it easy for users to find and request info — perfect for trades or other services. 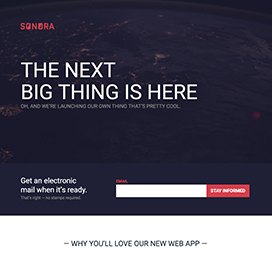 Hate having an ugly form in the middle of your landing page? 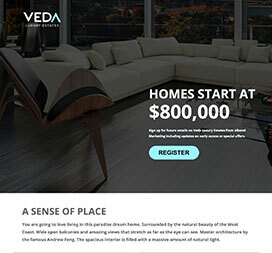 This no-nonsense lead gen theme features a form in a lightbox, with multiple CTAs throughout the page. 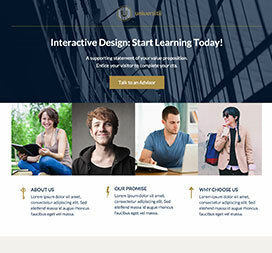 This education-themed template includes a lightbox form and a large section for social proof. Perfect for capturing leads from prospective students. Get ready to fill that appointment book. 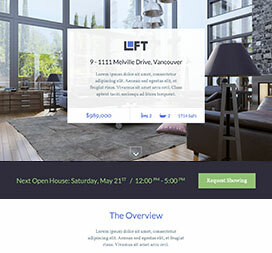 This theme’s built-in lightboxes allow you to include full image galleries of your latest real estate development. 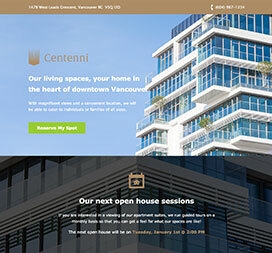 Centenni uses multiple lightboxes to help you pack lots of information into one concise landing page. Perfect for real estate agents promoting complicated floorplans. 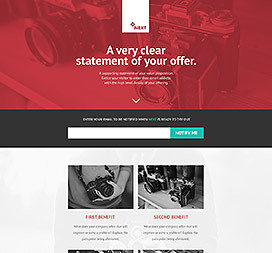 With built-in image galleries, videos, and lightbox forms, this simple and elegant theme puts the reader’s focus where it belongs: on what makes your offer great. 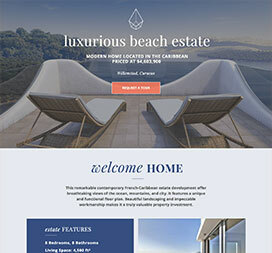 Elegantly launch your new real estate development with this stylish theme. Nail your selling points, add high-res photography, and start capturing leads. Life’s too short to work with cheap tools. 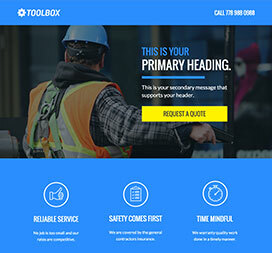 This simple theme is perfect for construction and other trades, but it still includes rich features like parallax scrolling. 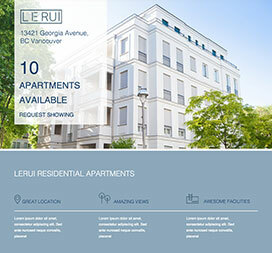 Big and beautiful parallax backgrounds combined with a hidden lightbox form make this theme the perfect distraction-free showcase for real estate developments. 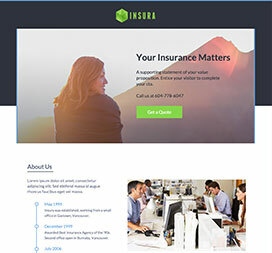 This lead gen template is perfect for insurance providers: it includes industry-appropriate icons and a call-to-action that opens the form in a lightbox. Perfect for tours, retreats and getaways. This peaceful, lightbox-enabled theme makes booking reservations a snap while also setting the mood for your ’destination’ offering. 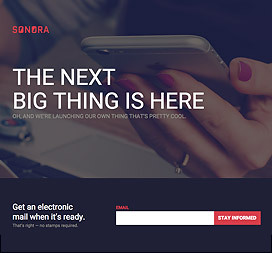 Sonora uses big, bold typography and imagery to create excitement for your next product launch. 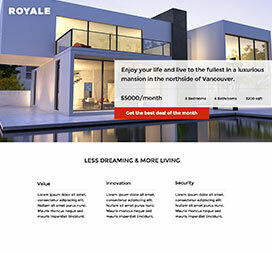 Includes a parallax header and high-converting signup form. 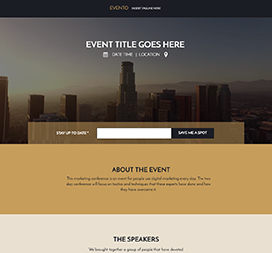 Hype your event and make it dead simple for guests to learn more about your speakers with lightbox bios. In between, show them why the industry’s brightest minds will attend. 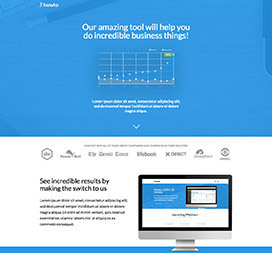 Perfect for SaaS tools that don’t need a ton of copy. 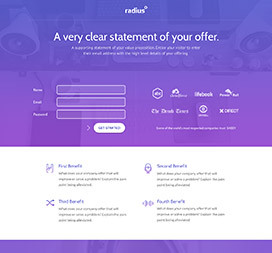 Radius puts your customer logos next to the signup form, and includes a directional cue next to the CTA button. Inspire your prospects to get excited for your new product or service. Collect email addresses and make sure your most passionate fans are the first to know. 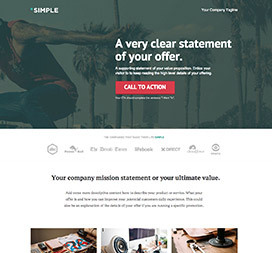 This SAAS template features a big, beautiful parallax header and built-in blocks for features, testimonials and a pricing grid. Use it for any digital product. 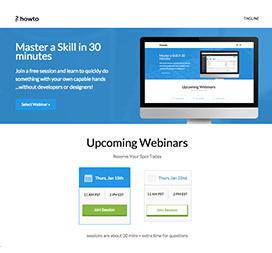 This is the template Unbounce uses to generate signups for webinars and presentations. 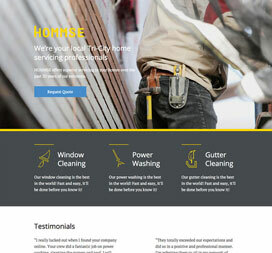 A high-impact, high-converting theme designed to inform, excite and convert. 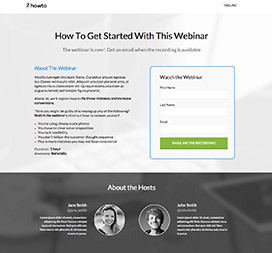 This lead capture page makes it easy to show why your webinar will provide valuable info, and why your presenters are the cat’s pyjamas. 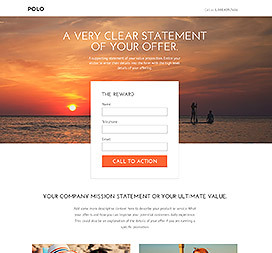 Polo is ideal for service-based companies—especially the travel industry. 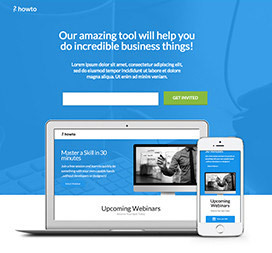 This simple lead capture page uses bold imagery to augment your value proposition. Perfect for capturing leads for your exciting new product or service. Detailed enough to incite curiosity, simple enough that you don’t give too much away. 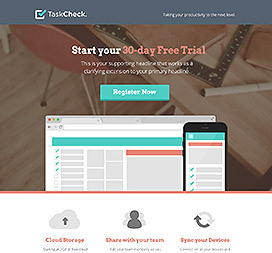 Task Check is a full toolkit for showcasing your new digital product. 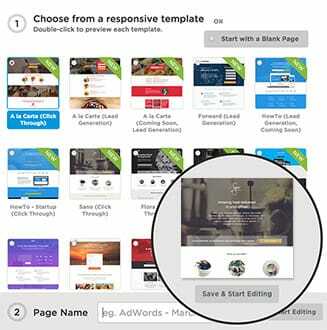 Includes pricing grid, features area, built-in video widget, and social proof area. 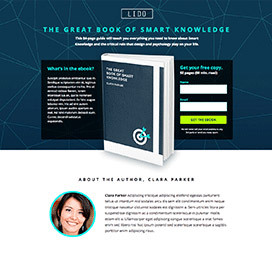 A smart, detailed theme that gives visitors everything they need to know about your ebook, ecourse or digital publication. Add your details, start collecting leads. 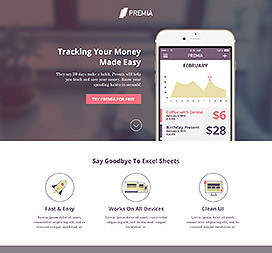 Premia is perfect for technical products/services that need a bit of explaining. 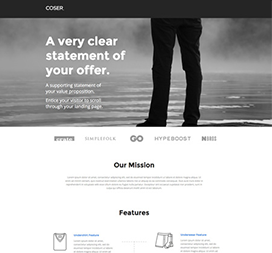 Includes features section, pricing table, FAQ section and social proof area. 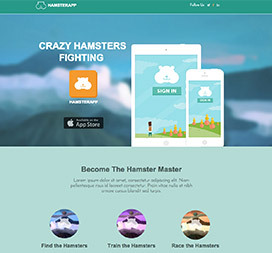 Showcase your latest app in style with this cheerful click-through template. Includes a parallax header and built-in button to your app store. 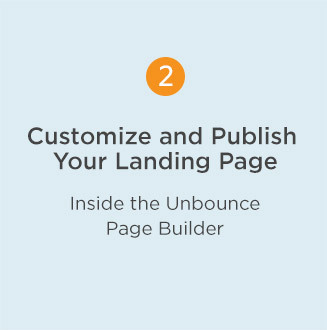 A simple lead capture page with a high-converting form. 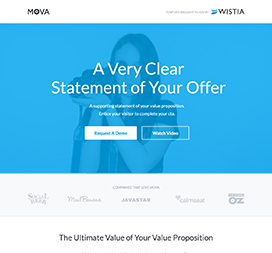 This theme puts the focus on your value proposition. 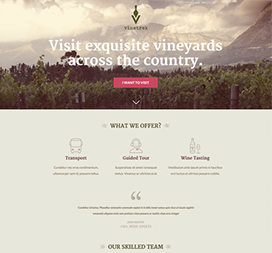 Includes a nifty parallax header—use high-res imagery! 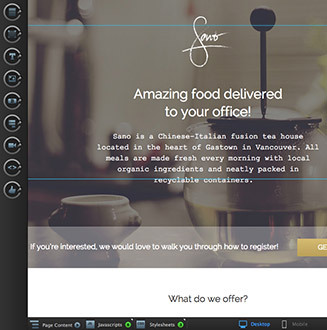 Simple just works—especially for the service industry. Start with a memorable background photo, then fill in the details with a lean value proposition and bold CTA.